Dance Legend - Holographics - Android, Robots vs Humans & Spacecraft. Let me just start by saying I'm pretty freaking excited to show you these polishes tonight. I recently received a package from Dance Legend in Russia. I'm pretty sure that their polishes are about to become quite a sensation in the nail polish world. Their unique range of polishes which includes holos, textured, matte glitters, thermals (including some pretty amazing three way thermals) are so gorgeous and I will have a few of each sort to share with you over the next few weeks. 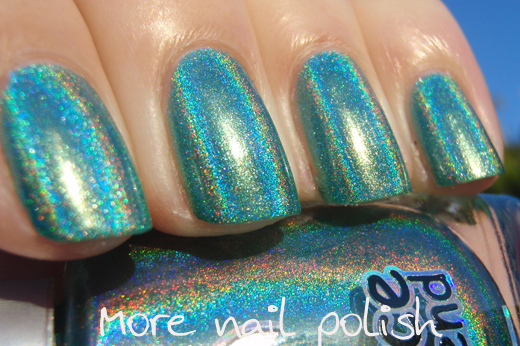 Do you remember early last year when when we all first discovered Layla holos? I sure do, because their colours were amazing the holo flame incredible, but application was a little tricky without a special base. We also all went a little crazy about all the Brazillian holos, particularly the Jade ones with their spectacular flame and great, easy to apply formula. 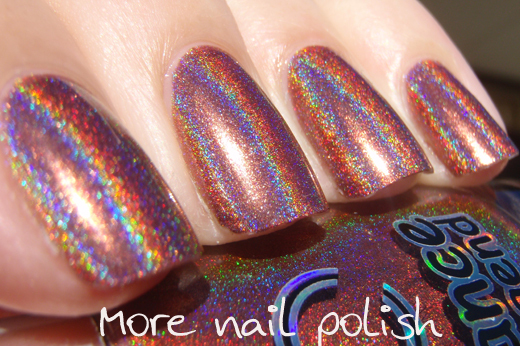 Most recently, Color Club made their intensely holo range with its excellent formula. 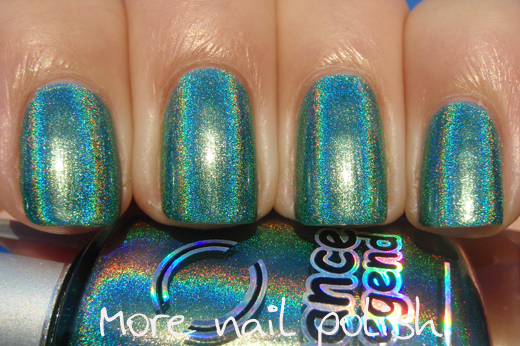 But I personally feel these Dance Legend holos take my top spot. Lets take a looks at three of them. Noting that I have already placed my order to get nearly all the other polishes in this collection! Android - Medium green holographic with blue undertones. Formula is amazing. This is basically a one coater, although this swatch is two coats. These will be awesome for stamping! This is also with Seche Vite top coat, so as you can see - no dulling the holo finish. The polish that was the closest colour in my holo collection was Layla Emerald Divine. The base colours of these polishes are very similar, but the holo flame is quite different. Android leans much bluer toward the centre of the holo, whereas Emerald Divine is more yellow through the centre. 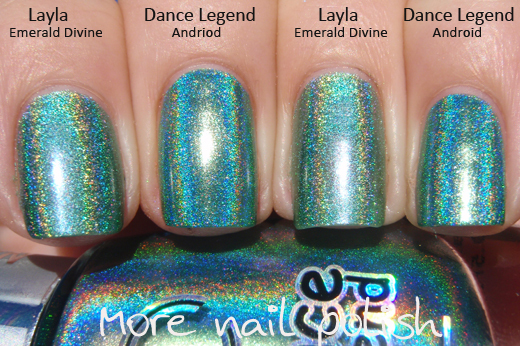 Emerald Divine also looks more speckled with a larger holo particle compared to the very smooth finish of Android. Android's holo is also more linear because of the finer particles. Robots vs Humans - A warm brown holographic. Very strong linear holographic finish that shows a bright blue flash through the center of the holo flame. This is two coats with Seche Vite top coat. Again, this could be a one coater, so it will stamp well. The closest colour in my collection is Layla Coffee Love. 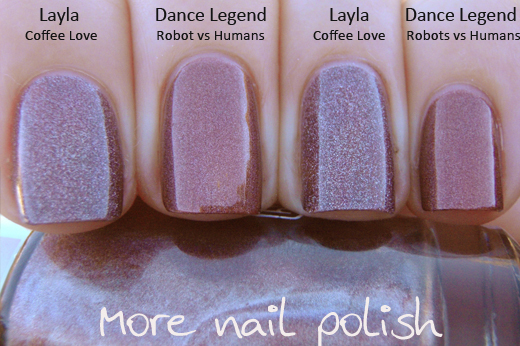 Coffee Love looks quite purple compared to Robots vs Humans, which has a distinctive chocolate appearance. Again, the Layla looks speckled with the larger holo particles, and the Dance Legend is very smooth with a fine particle. Spacecraft - A dark grey with an amazing linear holo finish. This one was not as opaque as the other two and does need two coats rather than one. This is two coats with Seche Vite top coat. I've compared this to both Layla Flash Black and Jade Magia Negra. I don't have Color Club Beyond to compare it to, but I've provided a link below were you can see that comparison. 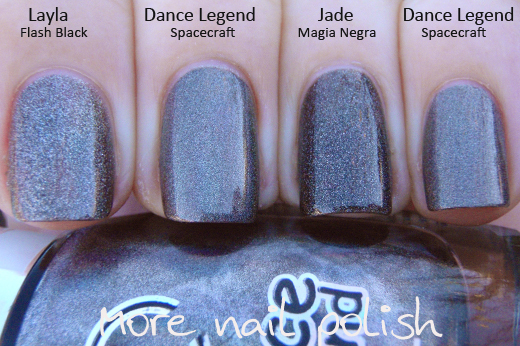 As you can see, the Jade polish is much darker than both Flash Black and Spacecraft. 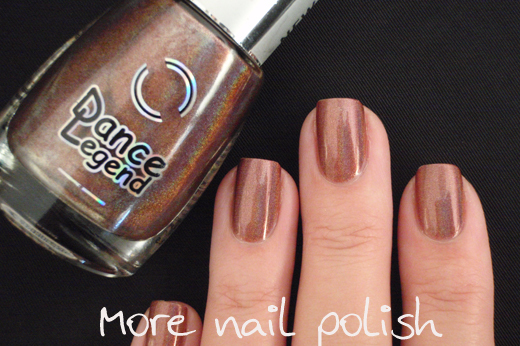 Again the Dance Legend polish has a much finer and less speckled appearance. 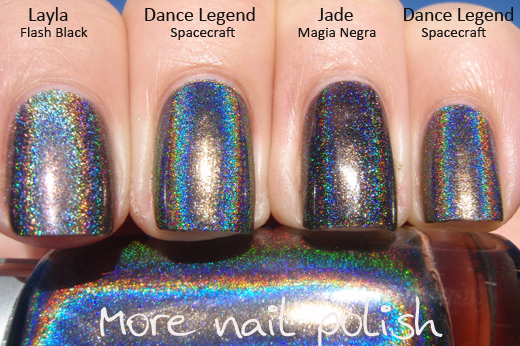 Jade Magia Negra looks a little sad between the two Spacecraft nails, although to it's credit it is a darker polish so it's holo is hidden a little. I was amazed at how different the two holo flames were between Flash Black and Spacecraft. Flash Black really looks quite chunky next to the very smooth finish of Spacecraft. Like I said, I've already ordered another seven of these shades (I just didn't get two of the pinks, cause I don't really wear pink). 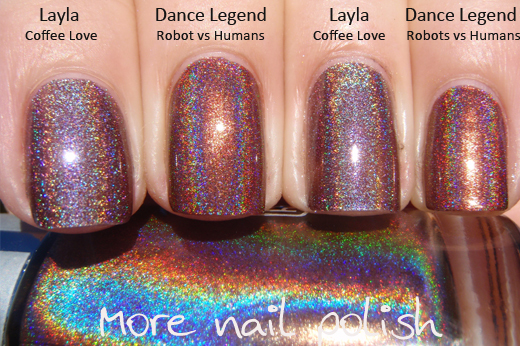 I really need another silver holo like I need a hole in my head, but I could not pass up a polish with the name T-1000! 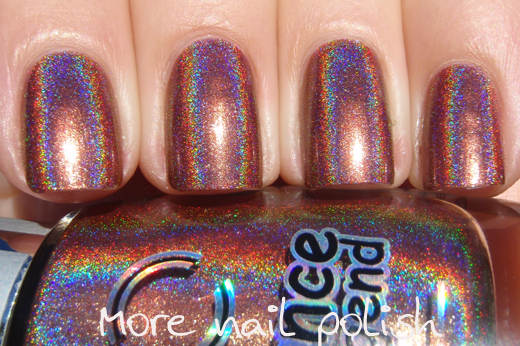 I am completly blown away by these holos. Let me just list the reasons why. Formula is so easy to apply, no special base coat needed, no dragging or balding. Top coat doesn't dull the holo appearance. Wear time was excellent. I wore Android for three days and had no tip wear or chips. The holo particles are ultra fine giving a very smooth finish in the shade and a very linear finish in the sun. They are nearly one coaters, which means they will be excellent for stamping. What baffles me with these polishes is that they are so opaque in one coat, yet the holo effect is still so strong. Usually you need a more sheer jelly finish to get holo to show through. Clearly the stuff in these is very different to Spectraflair. If you want to see some more comparisons, especially to the Color Club polishes, you should check this post from The Holo Queen. In her pictures I can see that the Dance Legends have a finer finish than both the Color Clubs and the Urban Outfitter holos. Dance Legend ships Internationally and their shipping rates are excellent. Only $10 if your order is under $100, and free if your order is over $100. I notice that they say on their site that shipping can be slow and not to lodge a missing package dispute until at least 45 days has passed. I just wanted to let you know that my package was provided with tracking that tracking showed that it didn't even leave Russia for 42 days - with it being exported three times. I eventually got my package on 1 May, for a total of 54 days door to door. 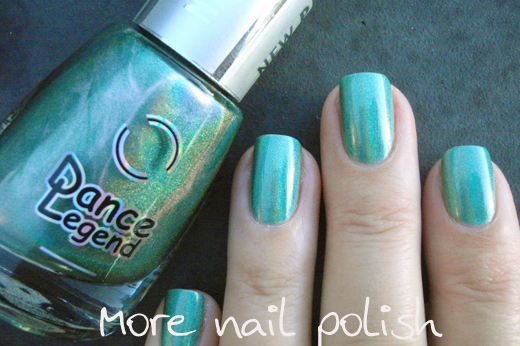 What you do all think about these Dance Legend holos? Feel free to fire me any questions if you have them. Oh wow, I LOVE these. I have seen a couple swatches, but hadn't seen comparisons yet - love love love! I am so excited for Llarowe to stock them! WOWZA! 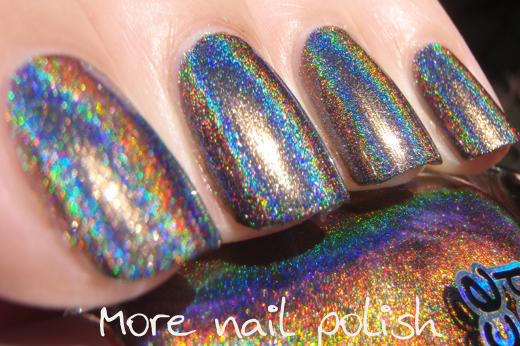 I love holos and can't wait to get my hands on these! 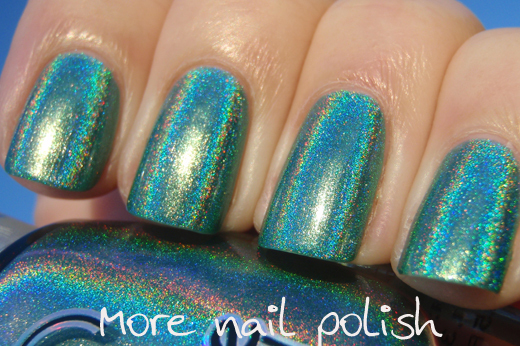 I love those holos, and think I may need to buy some of them. These polishes are gorgeous! Thanks so much for the comparison shots to the Layla's too! My wallet is gonna hate me after payday I think! Aw, thanks for the link to my blog! I can't believe how great these polishes are. 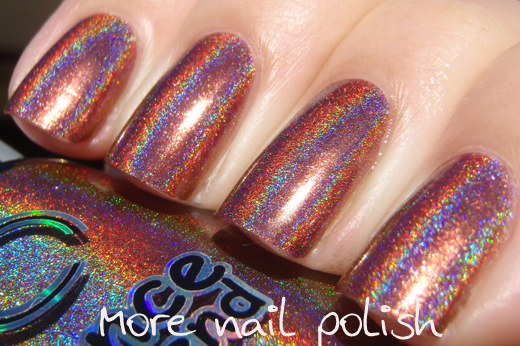 So easy to apply, and so opaque, and like you said, so amazingly holo at the same time! Wow that's some serious slow shipping, but completely standard from what I have heard about Russia's postal service. Well, Dance Legend polishes are extremely popular here in Russia, so when you say that they will big in "nail polish world" you probably mean just the USA. :)) Cause it's already an established company in Russia. Seriously though, average Russian blogger writes more posts about this brand than any other brand. ^^ Another extremely popular polishes here are EL Corazon's. Hi. 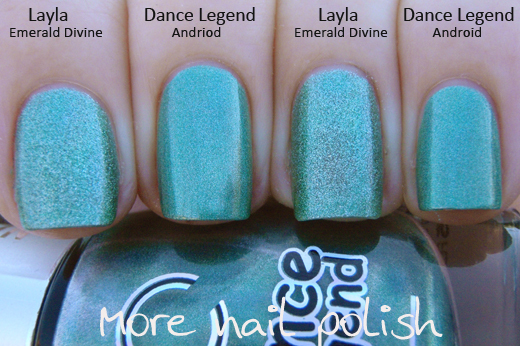 You can also get Dance Legend on the llarowe.com website. They are $13 ($8 for mini, if in stock) and shipping is only $2.82 for the US. I have used them numerous times and they are great.